The heterogeneous causes of non-CF bronchiectasis often present a diagnostic and therapeutic challenge. The current therapeutic concepts for the mobilization of secretion and prevention of infections are largely based on the therapy of cystic fibrosis, while anti-obstructive treatment regimens are derived from the therapy of COPD. Three BREATH scientists were involved as German representatives in the development of a European guideline for the treatment of non-CF bronchiectasis. Non-CF bronchiectasis is characterized by a permanent enlargement of the bronchi and bronchioles. Similar to cystic fibrosis, this causes chronic bacterial infections and inflammation, accompanied by secretion retention in the lungs and progressive damage to the respiratory tract. The heterogeneous causes of non-CF bronchiectasis often present a diagnostic and therapeutic challenge. The current therapeutic concepts for the mobilization of secretion and prevention of infections are largely based on the therapy of cystic fibrosis, while anti-obstructive treatment regimens are derived from the therapy of COPD. 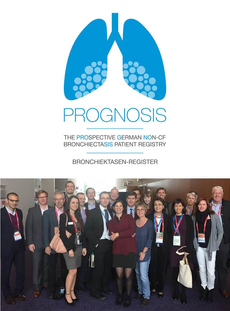 In order to gain a better understanding of the epidemiology of the disease and the treatment regimens used, the German bronchiectasis registry PROGNOSIS (The Prospective German Non-CF Bronchiectasis Registry) was established in 2015. BREATH, the Hannover site of the German Center for Lung Research (DZL), and the other four DZL sites are among the founding centers of PROGNOSIS. The CAPNETZ Foundation, also a partner in the DZL, coordinates and supports the structure of the register. Since 2017, PROGNOSIS has also been an associate partner of the DZL. A declared objective of the register is to compile a German-language guideline on the diagnosis and management of non-CF bronchiectasis. 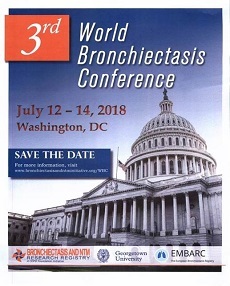 So far, however, only a few studies on non-CF bronchiectasis are available. Using a methodological approach from evidence-based medicine, experts from across Europe developed the recently published European Respiratory Society guidelines for the treatment of non-CF bronchiectasis between 2014 and 2017. The guideline was based on so-called "PICO questions" (patient / intervention / comparator / outcome), a search strategy for scientific literature research. In the PICO model, it is possible to obtain the best possible information from the available resources by means of a targeted formulation of the question, even with limited data. Through this approach, the collected expertise of the participating scientists could be bundled. With Prof. Dr. Tobias Welte, Head of the Clinic for Pulmonology of the Hannover Medical School, as well as Dr. Felix Ringshausen and Dr. Jessica Rademacher, both board members of PROGNOSIS, involved three BREATH scientists were involved as the sole German representatives in the preparation of the European guideline. In a next step, the scientists plan to develop an annotated version of the guideline, which takes into account the peculiarities of the German health care system. A financing commitment has already been granted by the German Pneumological Society. The goal is a common, with Austria and Switzerland developed, trinational guideline for the German-speaking countries. The basis for this is the data obtained from PROGNOSIS. An expert consensus will be used to develop additional recommendations that have not previously been taken into account in the guideline of the ERS. Source: Polverino E et al. European Respiratory Society guidelines for the management of adult bronchiectasis. Eur Respir J. 2017 Sep 9;50(3). pii: 1700629.